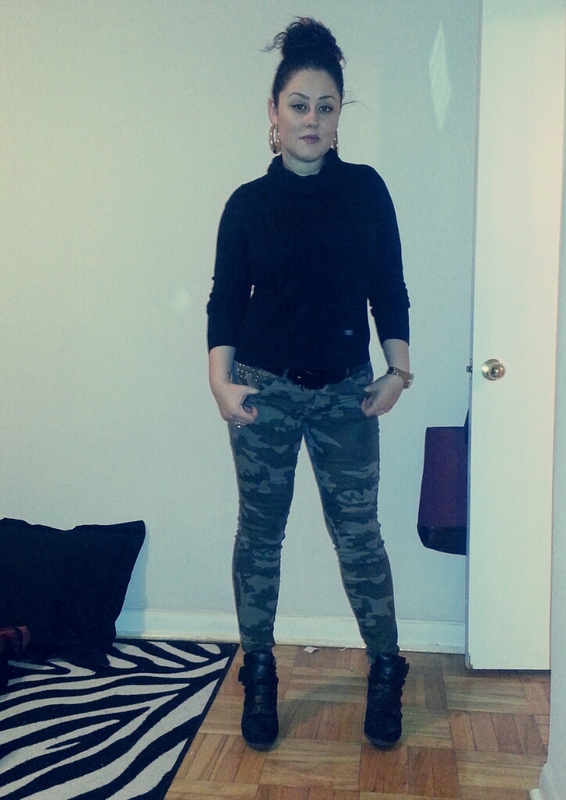 Today was really cold out and I was going out for an early breakfast and run some errands and a whole bunch of stuff so I needed to be warm and comfortable but of course fabolous as well lol … I love these camo pants, I love camo print period and they have gold studs on the pockets too. 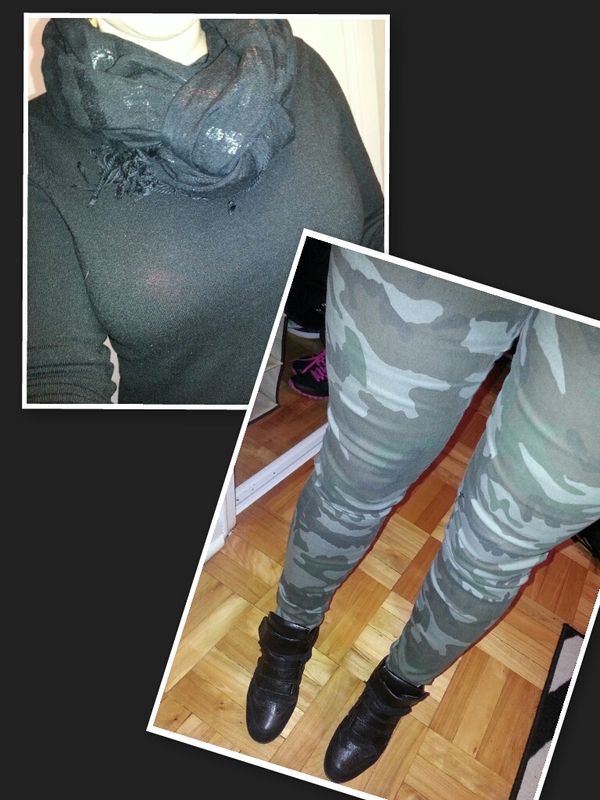 The pants are stretchy but fitted and I got these from Forever 21. The turtle neck is just a plain black turtle neck and I have a black scarf from H&M. 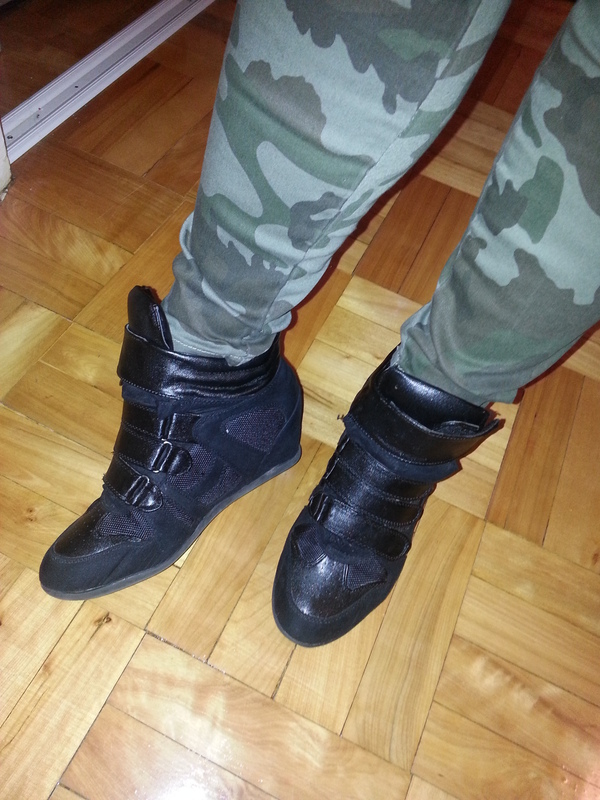 My shoes are the wedge sneakers from Winners which I absolutely love and they are so comfortable. 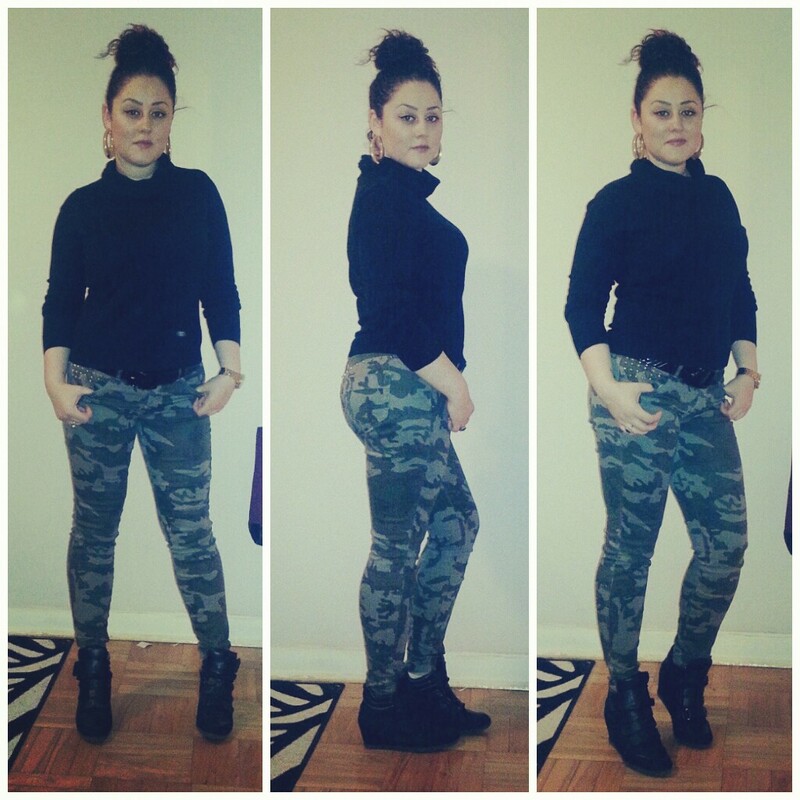 They just complete this comfy look. 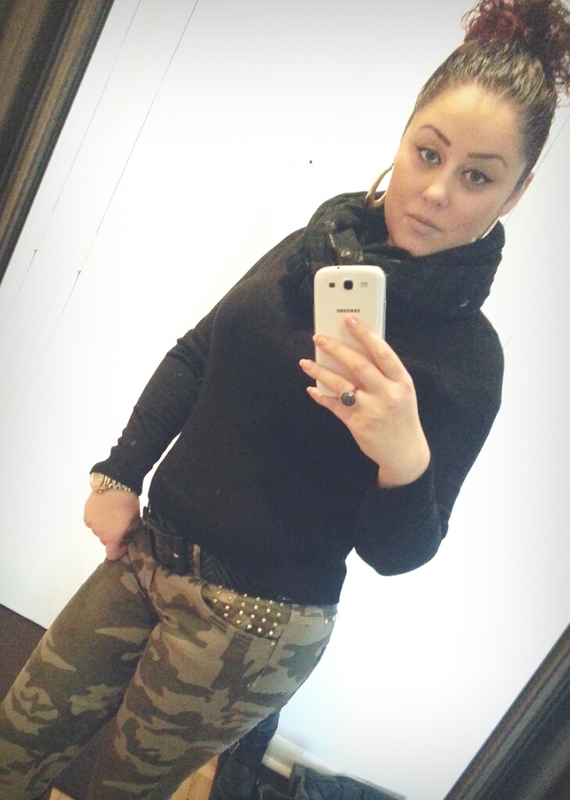 Looking good, ready to start the day ^_^ have a great one! Thanks mama you as well! Love the shooooes! Have a beautiful day sweetie! Thanks Mammu!!! Hope you are having a wonderful weekend!